10 Features you can expect from Upcoming Magento 2.3 release. 1. Progressive Web apps: Progressive Web Apps, usually known as PWA’s will going to be the future of e-commerce as they provide unique essence and feel to native apps. To find out the benefits of PWA for eCommerce store owners, Magento will launch its PWA studio with 2.3version. PWA studio is a robust toolkit that will be full of required tools for enabling the developers to create Magento front end. 2. Page Builder: Magento 2.3 is coming out with essential enhancement of the native CMS platform. The latest feature of the page builder is all about the rewrite of Blue Foot CMS, that is acquired recently by Magento for rendering better service of Content management for store owners. Page Builder also avails exciting feature like drag and drop layout management and template creation along with smooth UX for non-technical ones. It will be available with Magento Commerce 2.3. Well, you can also buy it from Open source implementations. 3. Declarative Database Schema: One of the most crucial features that store owners can expect is a release of its new version of a declarative database system. With its advanced feature, Magento developer will enable to restructure the part of modules with clear coding. Moreover, it will also bring significant performance improvements and will reduce the potential bags to ease the development process. 4. 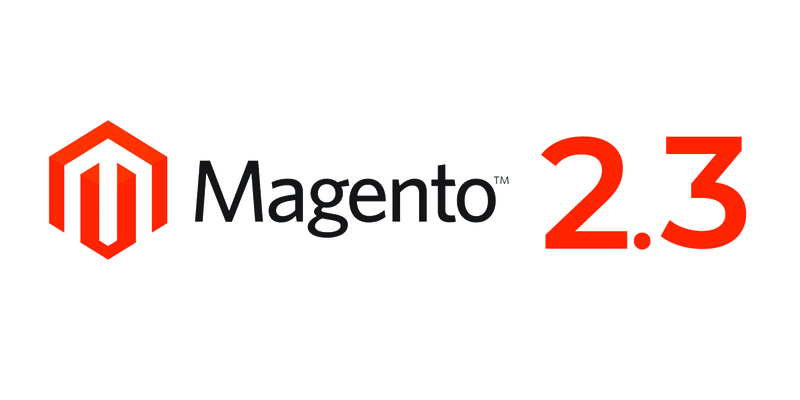 Two-factor Authentication: One more security feature will come with Magento 2.3 version that will be essential as security. It is coming up with the new version of 2.2 users, that can access with command line interface and Composer support. This feature will be enabled with stronger security as the end user will have to give extra information to access the store. 5.Import/Export Improvements: This latest version is bringing a new import/export feature that will be expected with the certain improvements regarding speed and endurance for the admins. This will eliminate the requirement of relying on 3rd party extensions that get used for such purpose. 6. Google ReCAPTCHA: It is expected to have essential security improvement too in the latest Magento 2.3. With the current Google reCAPTCHA feature, it can be ensured that humans can only access the store front. This tool will be attached with the new version that can be installed in 2.2 versions if a merchant can access Command Line Interface and Composer support. 7. Asynchronous API: In the latest versions, the multiple API”S can be run simultaneously. With the latest one, API can be requested and queued up until request gets completed. Moreover, with the update, an online store will see fundamental improvements in the performance of Magento. This function can work with both open source and commerce version and it will be great if you can go for Magento development company. 8. GraphQL: This latest version of the Magento will support GraphQL Magento development services, an API technology that can enable the PWA to pull and push the info right from the online storefront with low data packets. This can translate in fast loading time in compare to traditional API’s which can be used currently by the platform. 9. Elastic search: It is a 3rd party search engine that is capable of getting run on a dedicated server and can be improved as per the relevance and speed of the instore search results. This feature gets already supported by the eCommerce and will be offered for open source to upgrade the 2.3 version. 10. Multi-Store Inventory: This latest feature will get empowered from multi-store inventory feature that can enable the store owners for managing the inventory in various multi sources rather than 3rd party extensions. Moreover, they will be allowed by tracking the inventory level that can manage to ship of items with multiple warehouses and retail stores. The inventory will be underlined in a new table within the database that can furtherly improve the performance and secure the database from locking the order. With the new array of the features coming up with this release, the new version has unlocked the possibilities of Magento merchants. To better perform, can enable the user experience with more conversions, that can grow the sales of online stores. Moreover, security enhancements can build the user trust and will give the positive impact on the goodwill of a business. The other robust features will also bring the benefits that will help in managing the online store front more effectively, simplifying the work of admins and reducing the difficulties and cost of the operations. To upgrade it efficiently you can hire Magento developers so that you can see your store as per your strategy.